Supercell Hailstorm. On the 3rd December 2016, a major supercell developed under extreme instability in northern NSW. 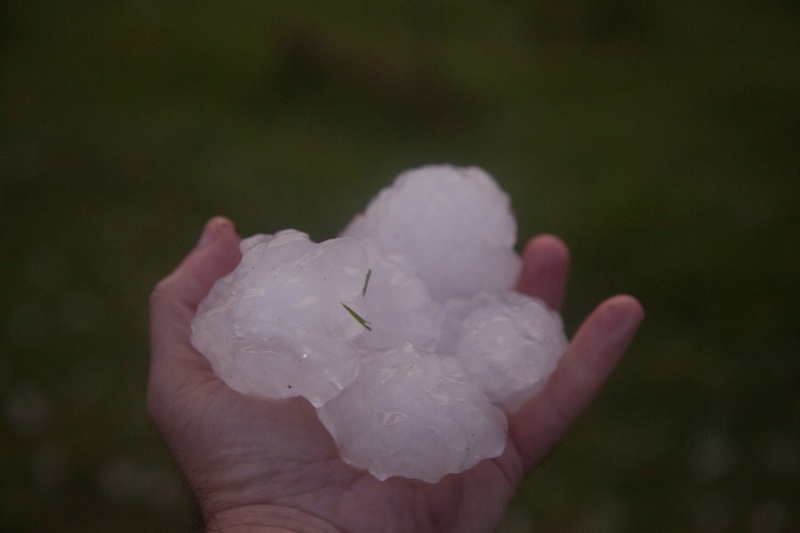 The storm then crossed the border and dumped significant sized hailstones at Rathdowney. During this phase, the storm was extremely lightning active with lightning produced from the anvil as well as near and in the core. Two trees were struck by lightning observed captured on video. It was a very spectacular supercell storm in its large size and very active lightning observed as well as giant hailstones. 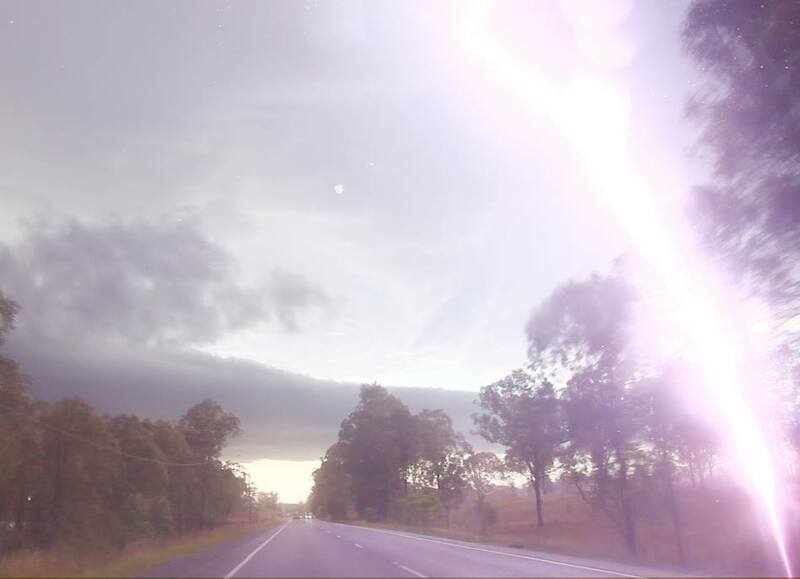 The storm was slow moving allowing for the relatively rare opportunity to chase in New South Wales and southern Queensland. 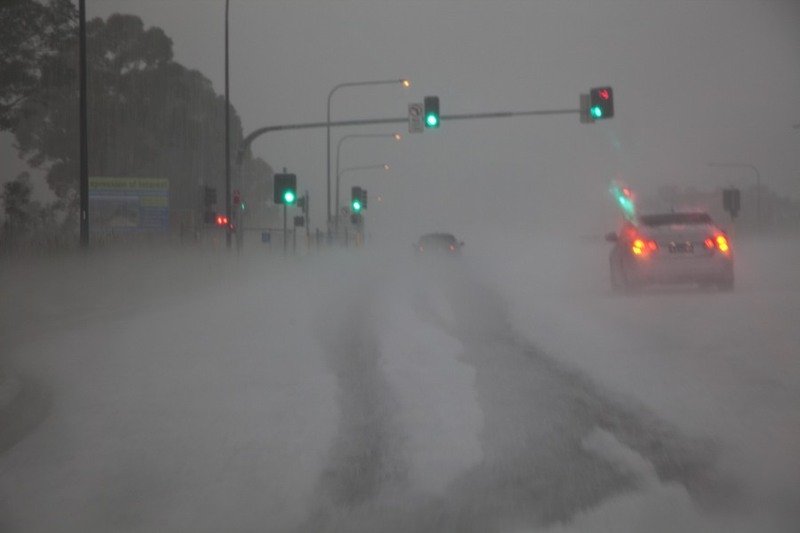 Hailstorm Drifts: Sydney was hit by several hailstorms on ANZAC day with hail covering roads and lawns as well as roofs as hail fell in drifts in some suburbs. 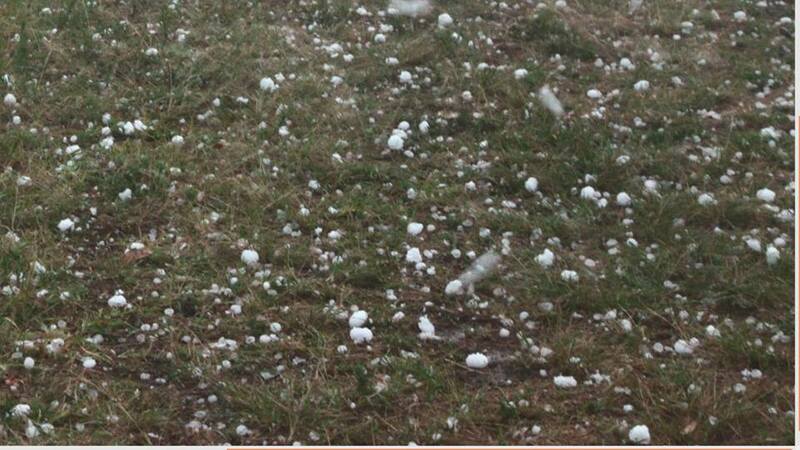 A factory in Huntingwood collapsed under the weight of the hailstones. Traffic in the region was diverted. A comination of heavy rainfall and melting hailstones caused flash flooding across the area. This particular hailstorm developed over the St Marys region. Storms had developed well to the west over the Blue Mountains and hail drifts had occurred in those regions. Storm chasers Jimmy Deguara and Harley Pearman were in pursuit of the earlier storm over the Blue Mountains earlier. Once in the Eastern Creek area, they noticed a large rain free base. This ominous base became the focus and not long after rain began to fall followed by hailstones to 1.5cm in diameter. The storm chasers repositioned to be closer to the core of the thunderstorm. A phone call alerted Jimmy of a hailstorm near St Marys. Finally at the intersection of the Great Western Highway, the extent of the hailstorm became clear! It was the beginning of the hail drifts. Turning right onto the highway introduced extensive hail drifts. The hail was still falling and pure hailstones as well. The scene looked like snow! Only car tracks showed where the road was with hail drifts approaching 15 to 20cm in depth! The hails swathe was about 5km wide and oriented generally south of east. The extent of the most damaging hailstones were in the Huntingwood area. Several factories had their roofs collapse at the height of the storm. Very heavy rainfall and flash flooding occurred with this storm. The melting hailstones also added to the problems. For more about the Sydney hailstorm information and hailstorms, more on this hailstorm is available at extreme storms. The Blue Mountains region to the Putty have been hit by giant hailstones that pummeled vehicles and smashed windscreens. In some cases roof tiles were also cracked in the Blue Mountains suburb of Faulcanbridge. Several supercells exploded during the early evening with a few storm splits being observed occurring on radar. This occurred as cold air aloft finally passed over the region allowing for sufficient weakening of the cap. Earlier storms developed near Campbelltown and looked to becoming severe. A severe storm warning was issued. Later though, the storms dissipated and sunshine dominated the area. A cool change had entered the area. Storm chaser Jimmy Deguara decided to meet up with Sydney Morning Herald photographer Nick Moir near Penrith. Cumulus clusters had developed but were not lasting that long. Storms began to develop as moist air moved further west from north of Sydney. Radar showed this development clearly. It was the storm near Colo Heights that grabbed the attention of the storm chasers. They gave chase and eventually got in front of the storm north east of Colo Heights. The storm had exploded with an anvil extending west. Another storm had developed south of Katoomba. This set the scene for devastating hailstorms to move over the suburbs of Faulcanbridge and the Putty region! Hailstones to 6cm in diameter were reported. Roof tiles were damaged and windscreens were smashed. The storms produced copious amounts of lightning! Several storms developed and split. These storms known as supercells are the most common produces of giant hailstones. The severe storm warnings of large hailstones continued into the late night period but the storms eventually weakened. For more information about the Putty hailstorm, feel free to check extreme storms.